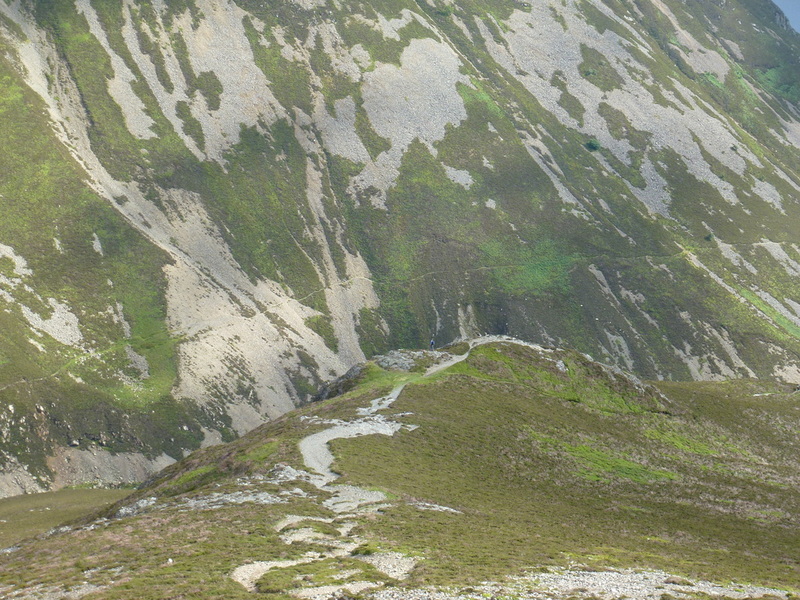 A good path leads up to the summit. 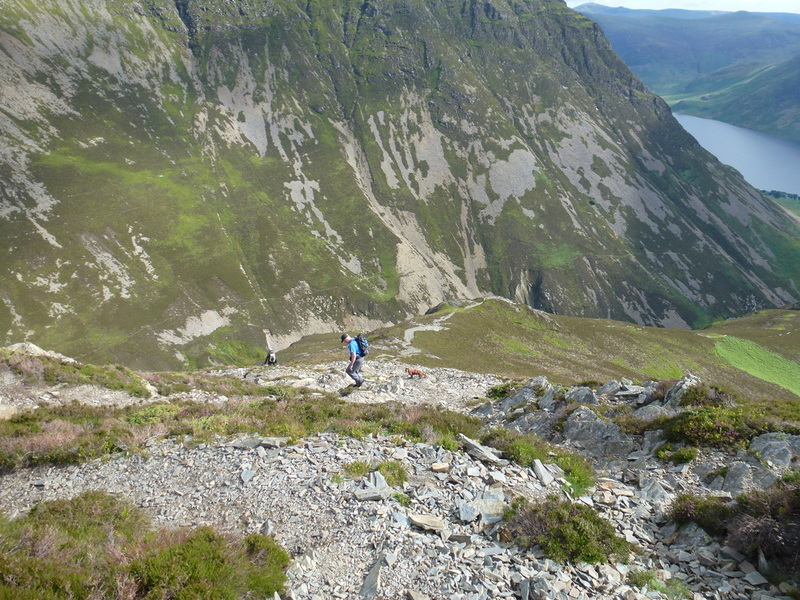 Care needs to be taken with the loose stone on the steep descent to Whin Ben. 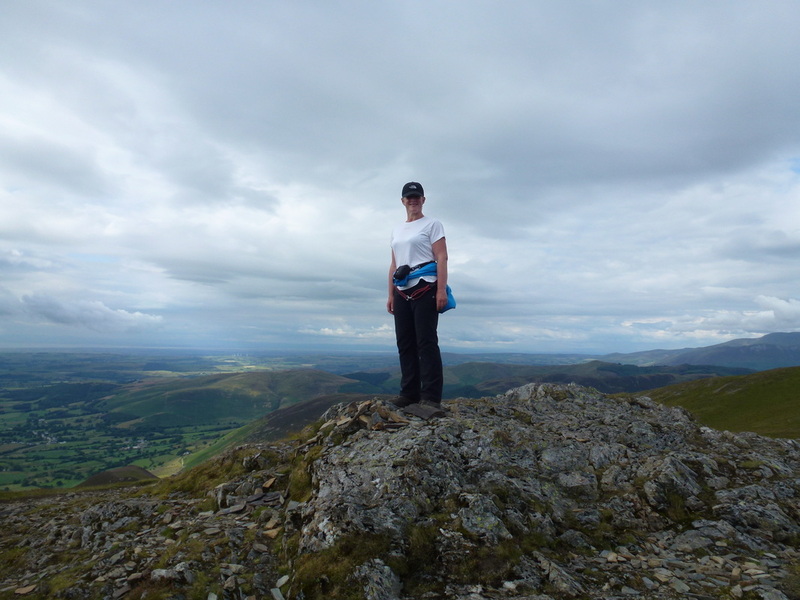 Warm with light breezes on the summit. 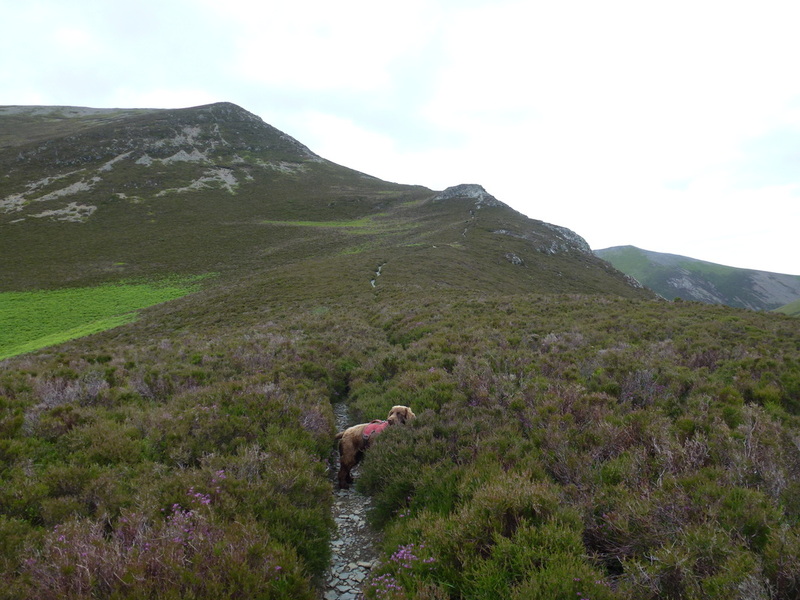 Visibility was generally good although the light was not great today. 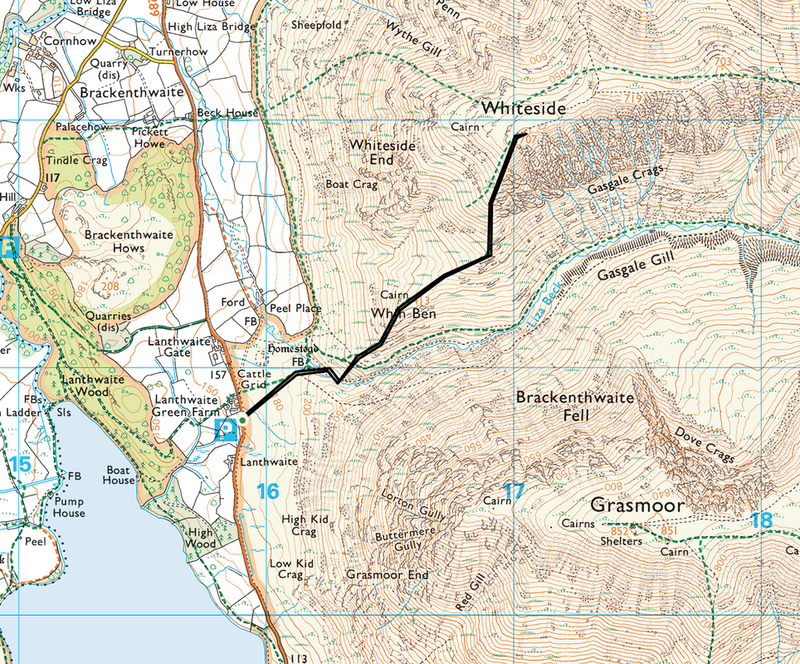 We had intended to add Whiteside on to yesterdays walk up Grasmoor but decided to save it for today. 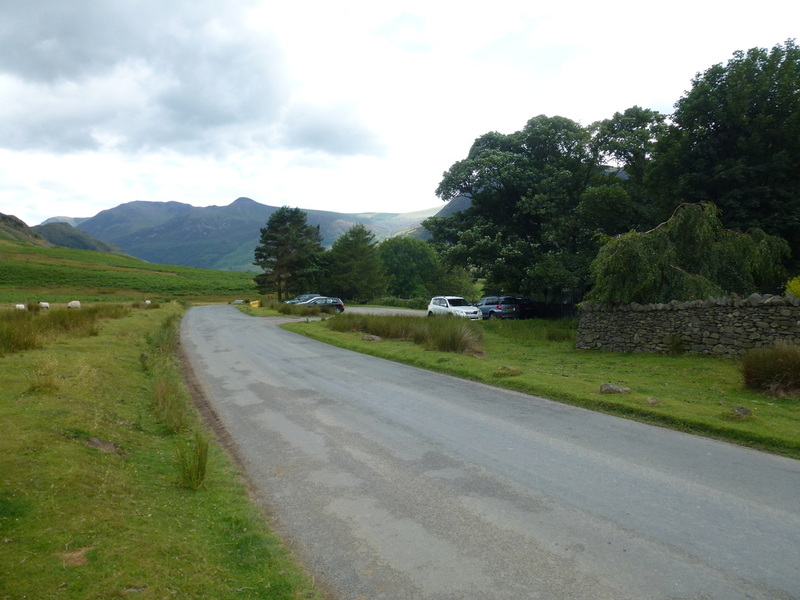 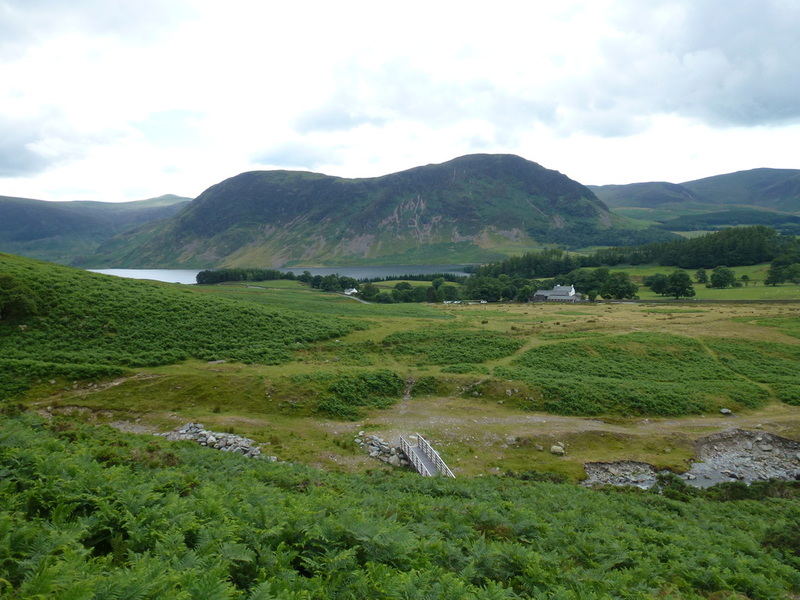 The route today started from Lanthwaite Green and was a straight out and back up the steep ascent and descent of first Whin Ben, and then up on to Whiteside itself. 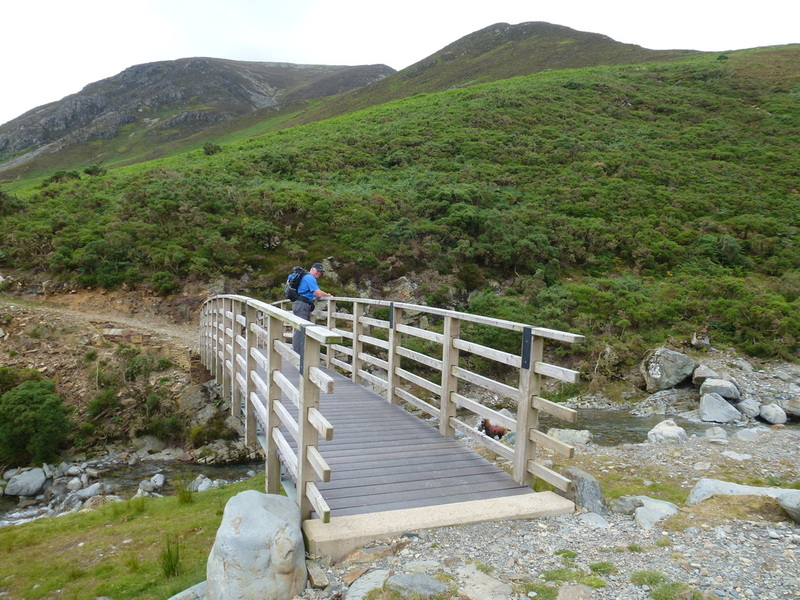 The first part of the walk is a gentle amble to the bridge over Hope Beck and after this a gradual ascent leads to the summit of Whin Ben. 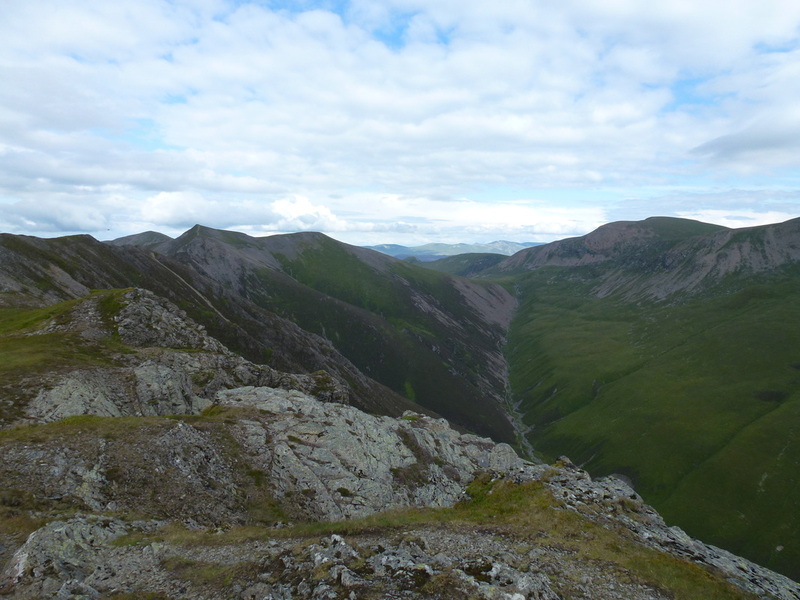 From Whin Ben the gradient steepens and it is a lung buster, sometimes over loose stone to eventually reach the summit but well worth it for the views down the ridge to Hopegill Head & Coledale Hause. 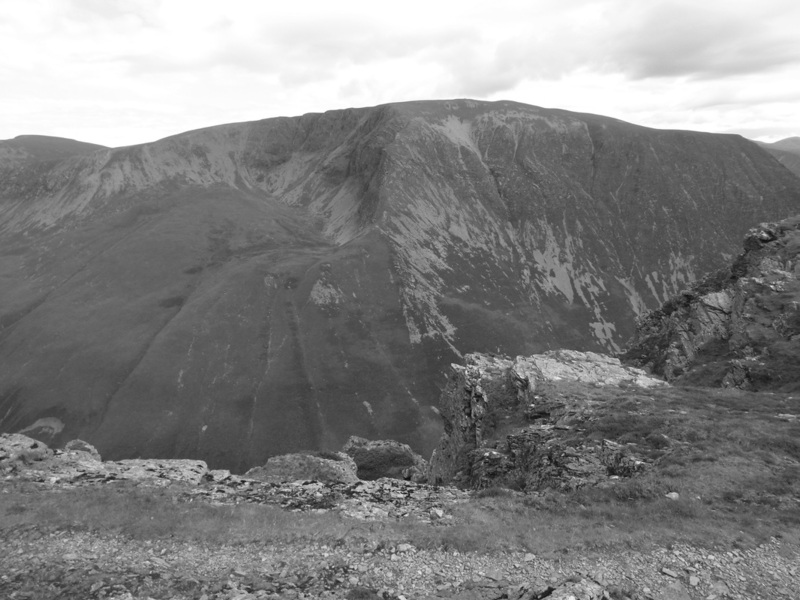 Grasmoor was very dominant all the way up to our right. 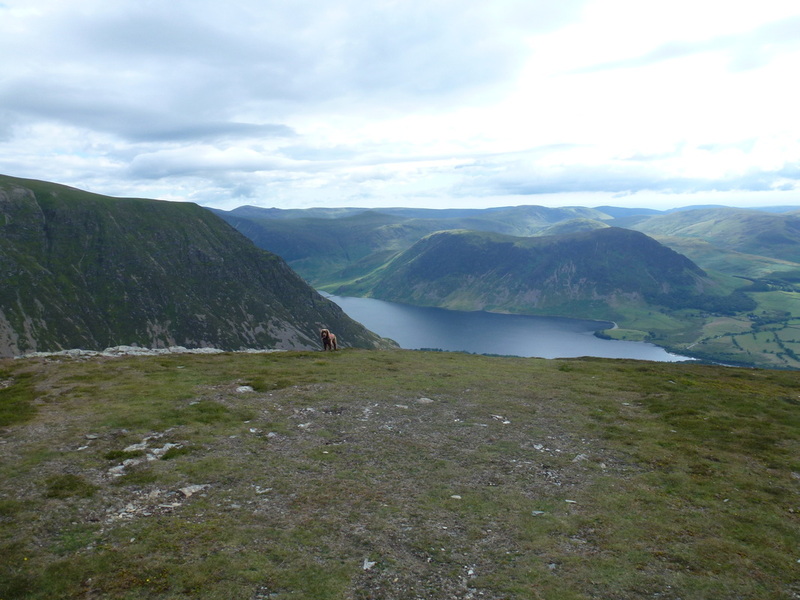 From the summit it was a simple task to return the way we came but we needed to take care on the steep descent because of the loose stone. 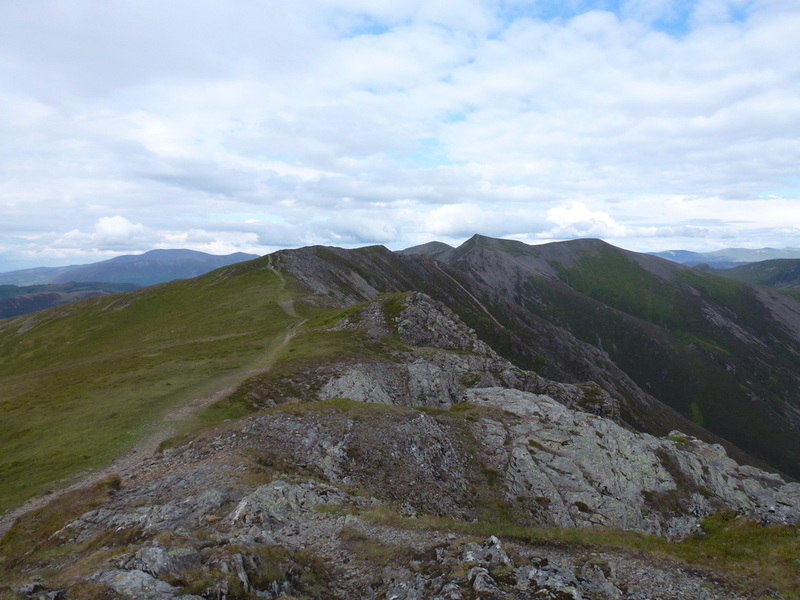 A pleasant ascent & descent but probably best undertaken as part of a round to take in Hopegill Head & Grasmoor but a good walk all the same. 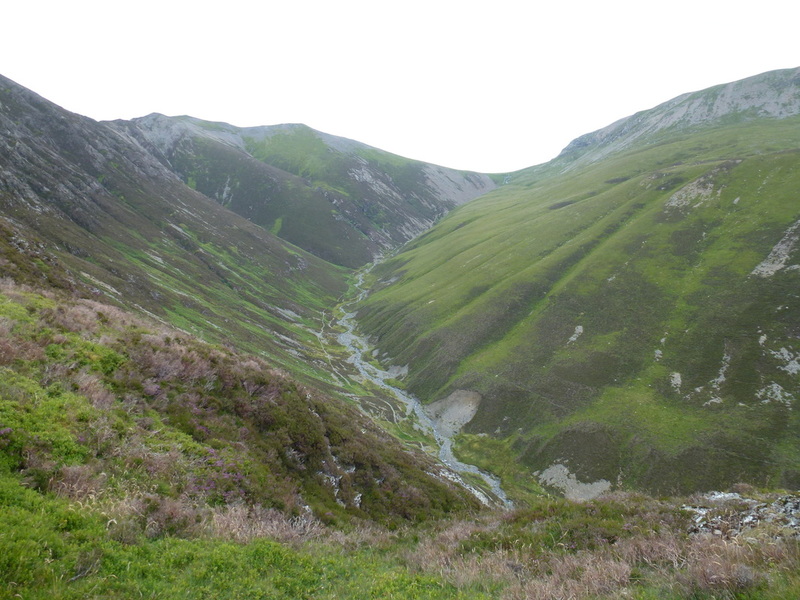 Up on the summit of Whiteside looking to Hopegill Head (the pointy summit). 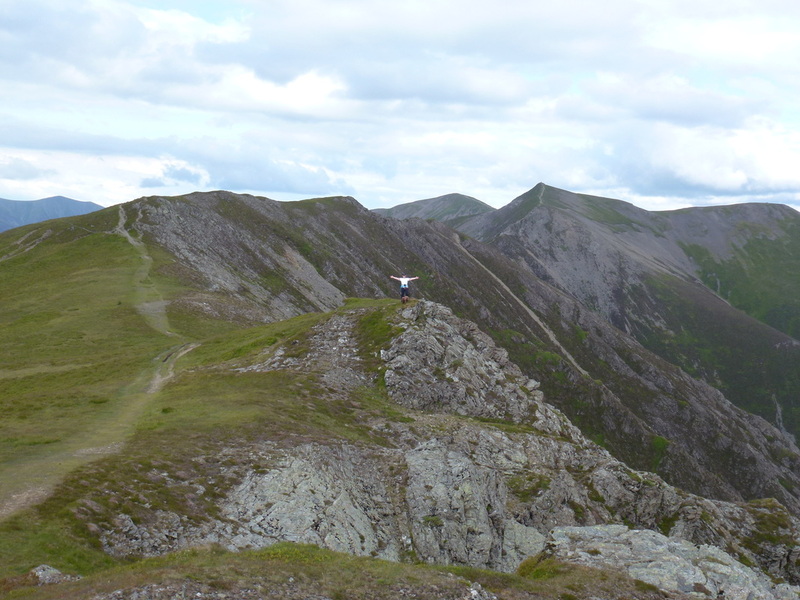 Grisedale Pike peeps out to the left of Hopegill Head.